Michal Negrin gold plated necklace. 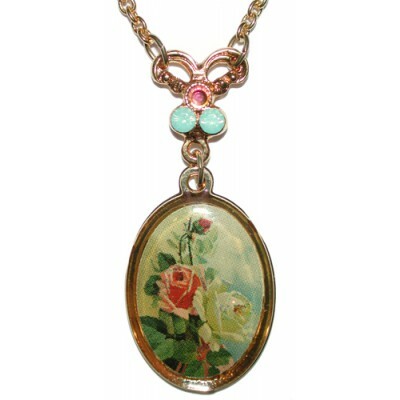 With a vintage style Roses cameo and Swarovski crystals. The cameo measures 0.8 inch long and 0.6 inch wide at its widest and the chain length is adjustable.